Support is available on an ad-hoc basis through to full contracted support with SLAs. Our teams cover Digital Signage software support, computers, media players, screens, installation and cabling requirements - on-site or through our remote management systems. Systems built by Command provide a high level of reliability. However, many of our customers require or request system support. Our system support includes maintenance, troubleshooting, graphics analysis and network analysis. We provide remote support or on-site support depending on your requirements. 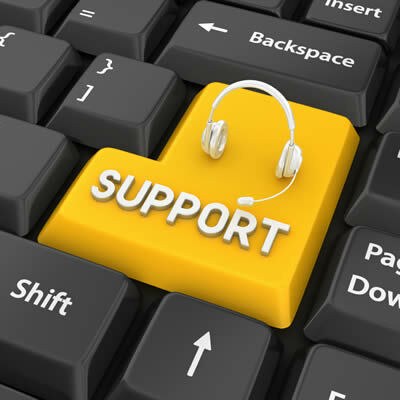 All support tickets can be tracked through the Command Helpdesk system. Command provides preventative maintenance programmes which are carried out to assist in the prevention of potential failures through inspection and detection, cleaning operations and controlled management of your systems. The main purpose of preventative maintenace is to keep equipment working and/or extending the life of your equipment by preventing the failure before it actually occurs with planned maintenance. Preventative Maintenance includes the inspection of players, screens, extenders, cabling and the surrounding environment. Cleaning and repairs are made to the equipment providing you with the confidence that your system is running efficiently.